With the current state of the industry — pilot shortages are becoming more and more drastic as passengers all around the globe are clamoring to soar the friendly skies — becoming a commercial pilot is an advantageous career path. But it’s not as easy as submitting a resume, dressing in your Sunday best, and getting the job. Becoming a pilot takes hundreds of thousands of hours of training and preparation and mastery. Not to mention a comprehensive understanding of the aircraft, its systems, and even weather patterns. At Alliance Aviation in Miami, we want to help you take flight on the career of your dreams. Whether you are looking to expand on an India DGCA certification, or you want top-notch type rating training for a Boeing 737, we can help. 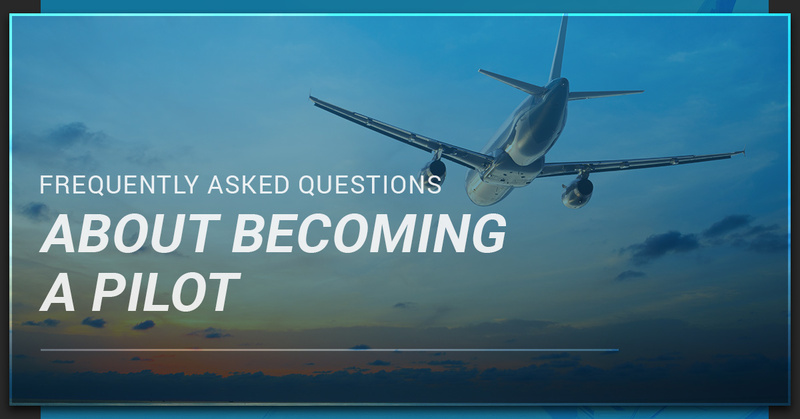 Continue reading to get answers to a few of the most pressing questions our pilot school students have about becoming a pilot and enroll at Alliance Aviation today to get started. What If I’ve Never Flown Before? Flying isn’t all that hard of a skill to learn, once you get the hang of it. It’s an exhilarating experience to fly an aircraft of any size, from small private planes to large commercial passenger airliners. It is tedious, requires patience and focus, and demands your attention at all times — but from a practical standpoint, learning how to fly isn’t particularly difficult. With the right attitude and high-quality training, including ground training and hours upon hours in the flight simulator, you’ll learn how to master the skills and take flight on a brand new career. Statistically, flying is one of the safest forms of transportation. All it takes is a well-built (and properly maintained) aircraft, along with a capable pilot and/or co-pilot. Becoming a pilot takes a significant investment of both time and money. But the end result is one of the most rewarding, thrilling, and potentially lucrative careers out there. There are many different steps to take when attempting to become a pilot. The first hurdle you must clear is to earn your private pilot practical exam. From there, your options are open to either fly privately or continue your education to become a commercial pilot. A few things are required before you can earn your private pilot license, however. First of all, you must take introductory training flight lessons, apply for (and pass) an FAA medical examination, apply for (and earn) an FAA student pilot certificate, log your flight training lessons, pass a written knowledge test, and ultimately complete your practical exam. All of this may seem daunting, but it is completely necessary if you truly want to become a pilot. Becoming a commercial pilot requires its own unique set of qualifications and certifications. The biggest certification you must earn is known as an ATP — which stands for airline transport pilot license. In order to earn your ATP certification, which is regarded as the FAA’s highest certificate, you must first pass an ATP-CTP training program. This ATP training program, which is one of the many we offer here at Alliance Aviation here in Miami, includes everything you need in order to qualify for your exam, pass the ATP certification test, and ultimately get a job flying jets for a commercial airline. Our ATP-CTP program includes 30 hours of academic training, 10 hours of flight simulation with a level 7 flight simulator, and an eight-day program which is capped by a knowledge test. However, before you go about earning your ATP certification, you must first earn a type rating. One of the most common comparisons out there is to like a type rating to a vehicle driver’s license — only that license only applies to one specific make. For instance, a Ford type rating would qualify you to drive only Ford vehicles. In order to drive a BMW, you’d have to earn a completely different certification. That’s the idea that applies to type ratings. Pilots who are looking to fly for commercial airlines must decide which type of aircraft they want to specialize in flying. At Alliance Aviation, we provide comprehensive type rating training for all of the major commercial aircraft, from Boeing to Airbus to ATR. Whether you’re an international pilot with experience or you’re new to the game, we have the tools and resources available to help you. Can International Pilots Qualify To Work In The United States? Yes! In fact, with the current pilot shortage in the aviation industry, airlines are looking for any and all qualified pilots to fill their empty positions. At Alliance Aviation, we have helped students from all over the world — from here in Miami all the way to China, India, and Jamaica — with comprehensive type rating training, ATP-CTP training, and more. Alliance pilot academy in Miami is the place to go if you’re looking for qualified instruction in a structured environment. What are you waiting for? Your future is here. All it takes is ambition, focus, and dedication to learning how to fly. Whether you have prior experience or you’re looking to earn a type rating for the very first time, we have the flight training programs you need in order to take flight on a new, exciting, and rewarding career. Contact Alliance Aviation in Miami today to learn how to enroll and get started.